Hands on® Reptile shows® Reptile Parties® Image or invite downloads. 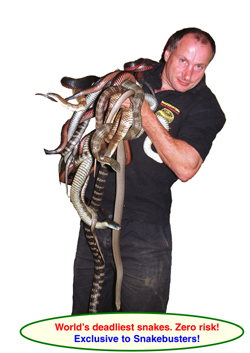 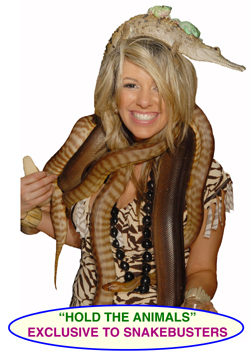 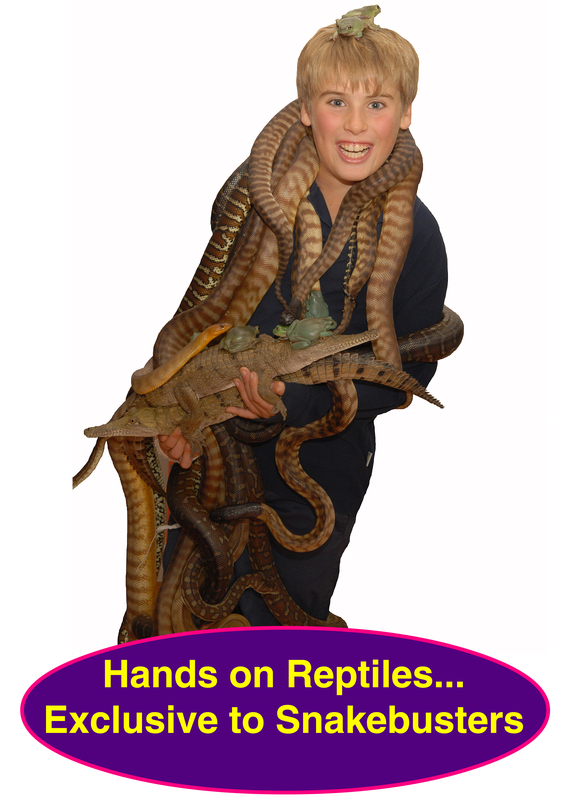 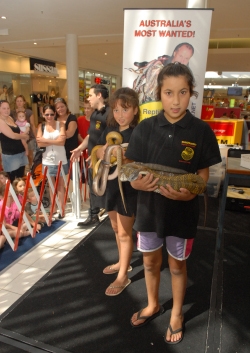 Australia's Best Reptiles® - the only hands-on reptiles® shows where people hold the animals®. 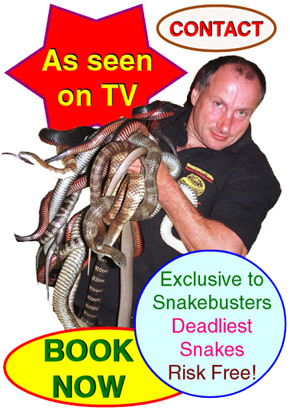 Get the biggest crowds possible! 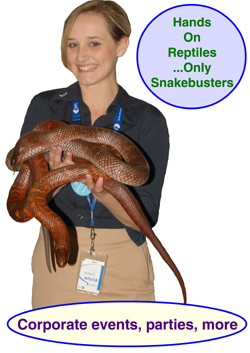 Tell everyone you've got, "Australia's best reptiles® - Snakebusters®" - use those exact words! Don't lose potential customers by inadvertently promoting a boring "static" or "hands off!" 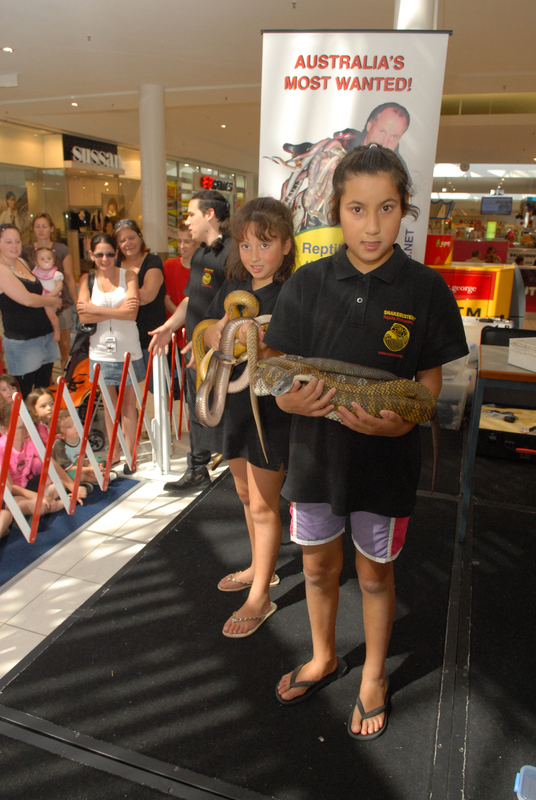 reptile display. - "Australia's best reptiles®" - yes the government rated us "the best", so we registered the trademark. 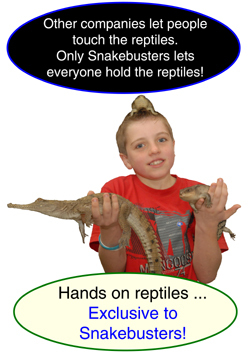 Now we can legally stop imitators "passing off" as us and when you tell people you are having the best reptile show at your event, everyone will know it is us. - Hands-on® ... That's us! 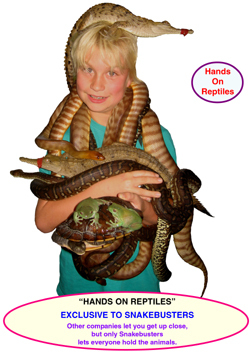 - All our imitators and the government argued that "hands on" was bad. 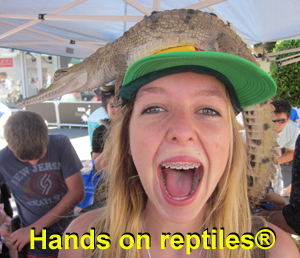 We said the opposite and we won in court, so now we own that trademark as well! 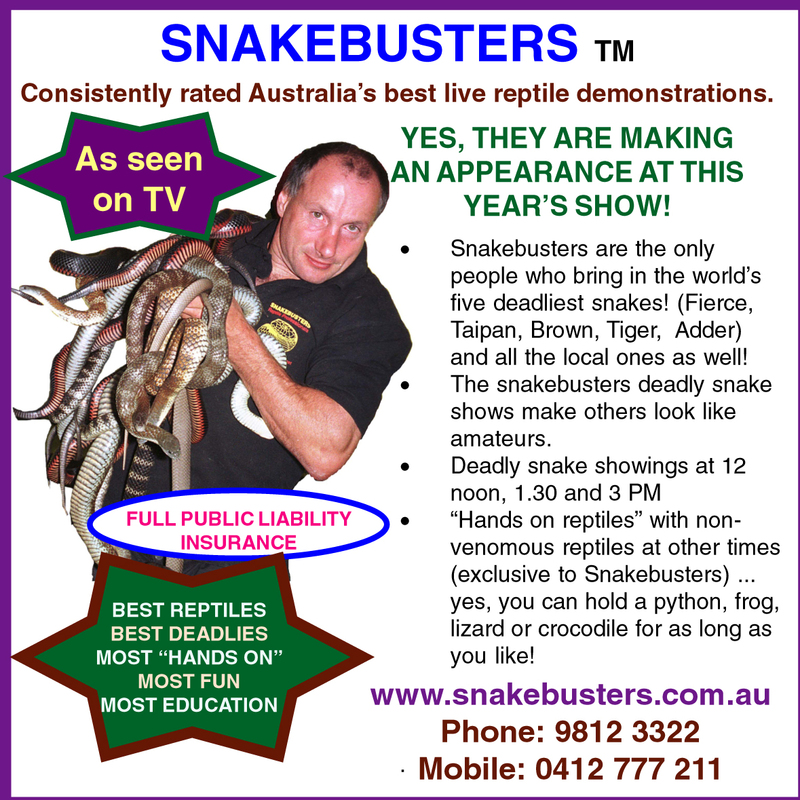 - In fact Snakebusters are the only hands on reptiles® show in Australia, where people hold the animals®, rather than just getting up close. 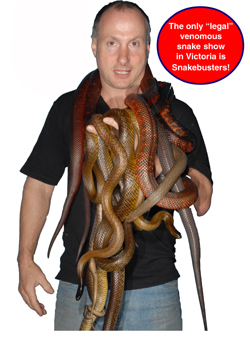 - Snakebusters are the company owned by Australia's Snake Man®, Raymond Hoser, who is the unrivalled foremost expert on Australian reptiles. 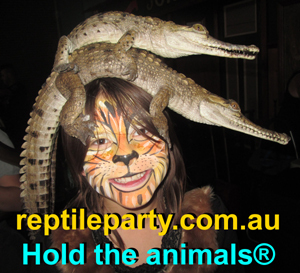 If you see anyone promoting any potentially unsafe wildlife shows using our trademarks, (including hands on®, hold the animals®, handle the animals®, Reptile Party®, variants, etc) or anything deceptively similar, (which is illegal under consumer and trademarks laws) let us know and we'll stop them! 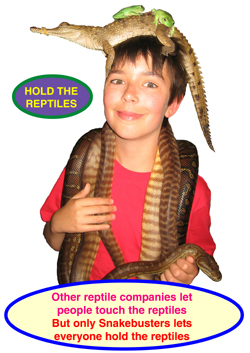 We don't want our clients put at risk with potentially unsafe imitators. 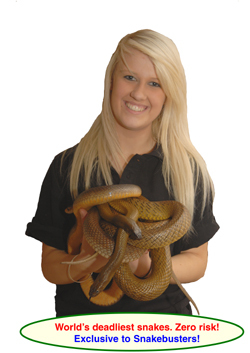 Images may be reproduced and used for promotional purposes, subject to the standard terms and conditions on our website. Select which ones you want to use (posted below) and then download. 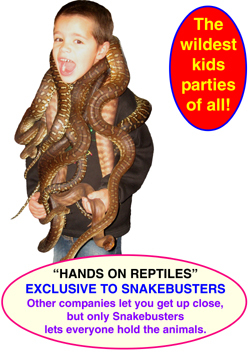 To download the hi res. 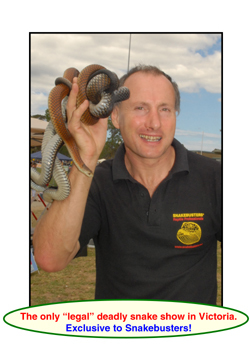 ones it is best to right click (with your mouse) the image shown and you will have the option to save to disk. 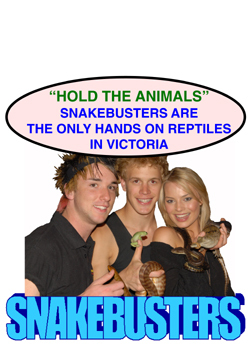 If you simply (left) click, the image will come into your computer browser instead, where you can also save it from. 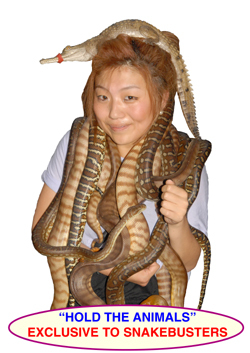 Average size of images are 5 mb. 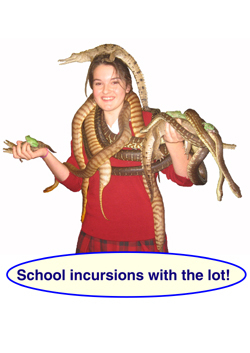 Text may be cropped out of images if desired. 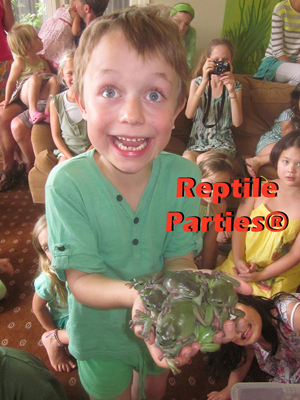 Full Books as pdf files, pdf fliers, reptile party® invites, etc here: Seen us? 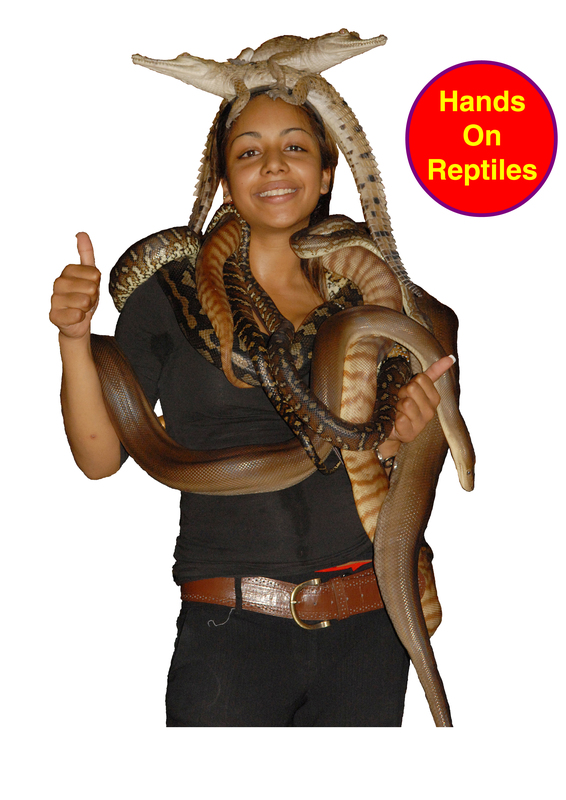 Liked us? Give your friends a flier - click here. Kids Birthday invitations here. 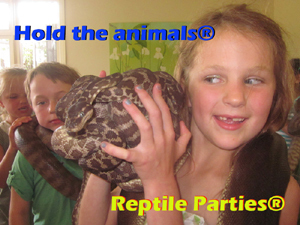 Adult party invites - here. 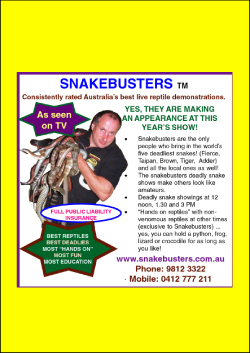 Download the major book in full, Australian Reptiles and Frogs. Download the major book in full, Endangered Animals of Australia. 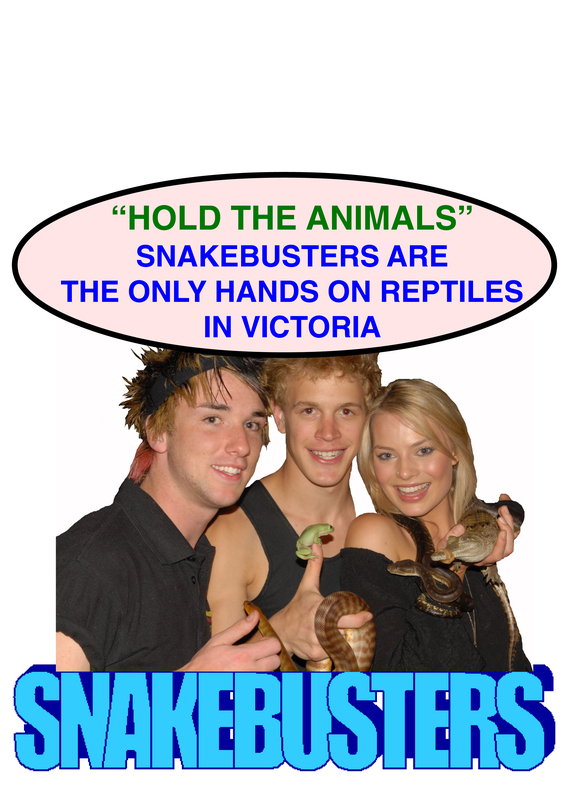 Get a Snakebusters T-shirt. 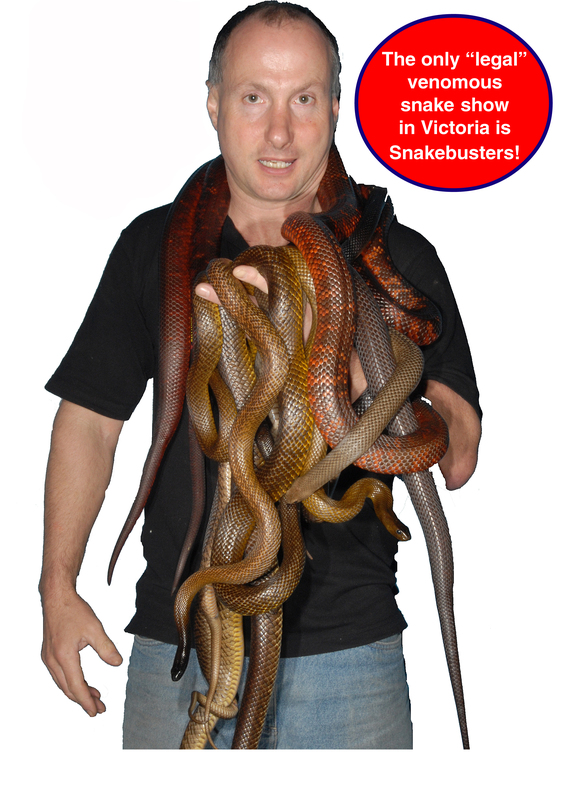 A4 "coming here" poster - click here. 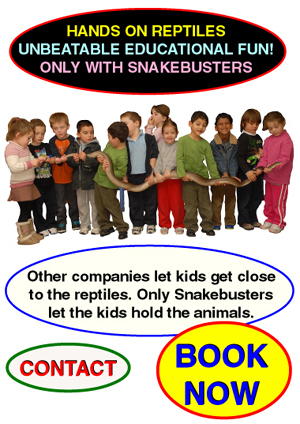 A3 "coming here" poster click here. 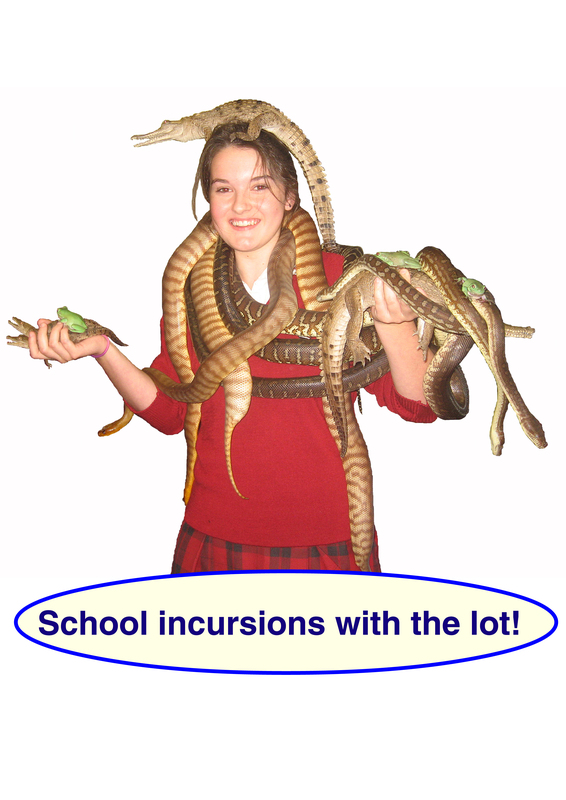 A4 Incursion booking forms click here.